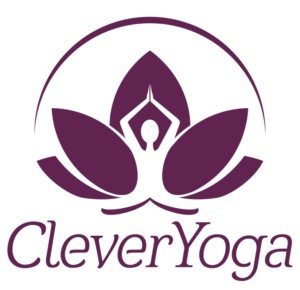 Most yoga mats roll up into a tube and require a bag, strap, or carrier to take it to class or home. 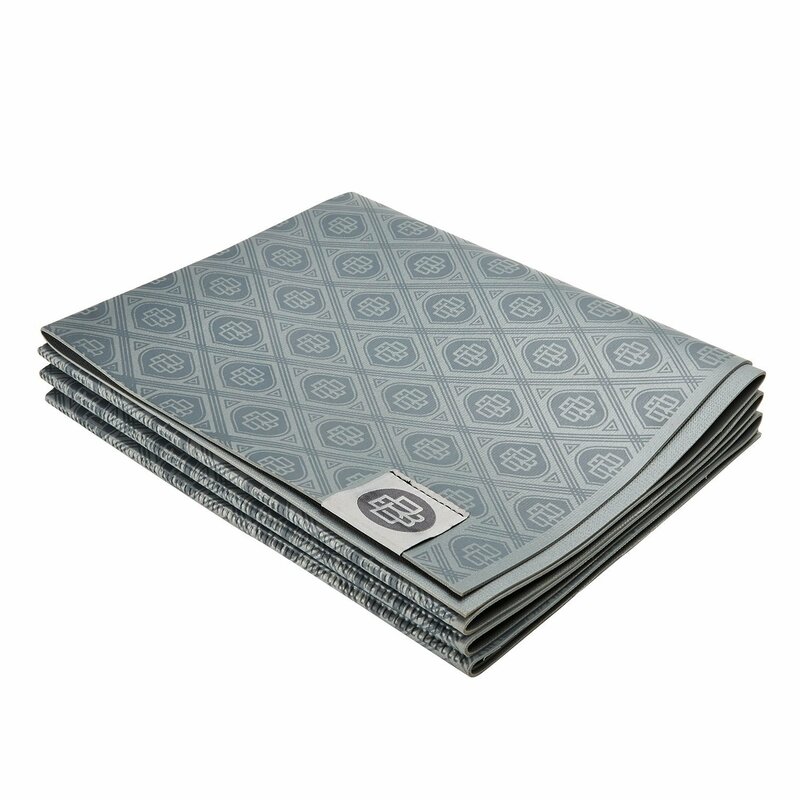 Newer yoga mats are foldable, meaning they can fold down into a small rectangle that fits into your purse or bag. If you want an extremely portable travel yoga mat, read on for our 2017 reviews of the best foldable yoga mat. The Manduka eKO SuperLite Travel Yoga Mat (Amazon link) is our top choice for a portable foldable yoga mat. As you can see in the picture above, this mat really folds down into a small size. 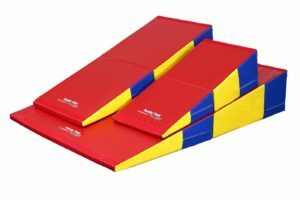 This mat is durable, made from eco-friendly natural rubber, sticky enough for gripping, and very convenient. At 1.5mm, the eKO SuperLite is on the thinner side, but that’s what you expect from an ultraportable yoga mat when you need to travel. Manduka is also the premier manufacturer of yoga mats today. 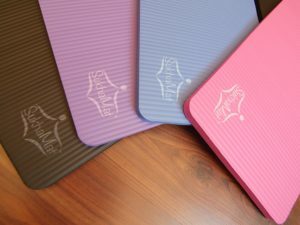 Our full review of the Manduka eKO SuperLite is available here. 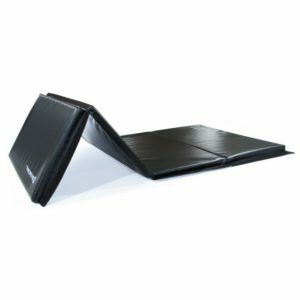 The Khataland YoFoMat (Amazon link) is the thickest foldable yoga mat you can buy from Amazon at 4mm thick. 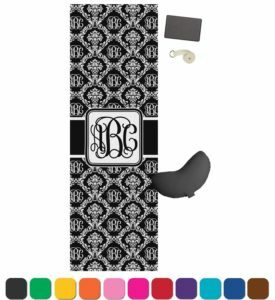 The mat is also extra-long, measuing 24″ x 72″. Most people looking for a foldable yoga mat want the convenient portability. The YoFoMat is not quite as portable as the Manduka eKO SuperLite, weighing about twice as much. However, what you get is extra length and thickness for large people or those wanting a little bit more cushioning. The YoFoMat is made from a synthetic polymer but is still free of phthalates and suitable for those with latex allergies. The grip is not excellent but serviceable for ordinary yoga. 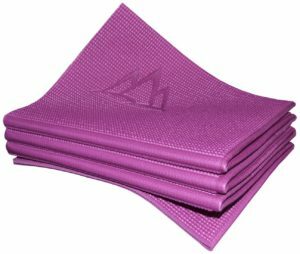 Those with extra sweaty hands may want to try the grippier foldable mats like the Manduka eKO SuperLite or the Jade Voyager Yoga Mat. 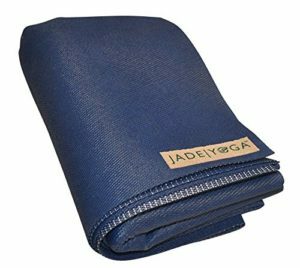 The Jade Voyager Yoga Mat (Amazon link) is another foldable mat from a premium yoga mat maker Jade Yoga. Like the Manduka eKO SuperLite, the Jade Voyager is 1.5mm thick and ultraportable. Also like Manduka, Jade Yoga is a well-established quality brand. The key difference between the Manduka eKO SuperLite and Jade Voyager is that the Jade Voyager uses an open-cell rubber mat, while Manduka uses a closed-cell rubber mat. This makes the Jade Voyager very sticky and easy to grip. If you want the stickiest grip on a foldable yoga mat, the Jade Voyager should be your best bet. However, the open-cell construction has the downside in that it absorbs sweat and bacteria. 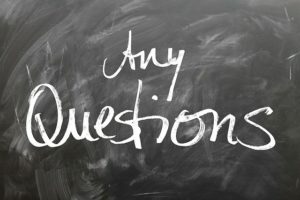 It takes more time to clean an open-cell mat, and it is also more important to clean regularly to prevent skin infections or degradation of the mat See our article on how to clean yoga mats for more information. 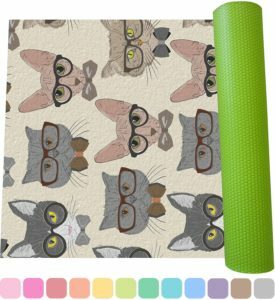 The Gaiam Foldable Yoga Mat (Amazon Link) is a decent foldable yoga mat from a reputable company. It’s main selling point is that it is cheap. You can regularly find this foldable yoga mat on sale for less than $20 on Amazon, while the other mats go for $30 or more. At 2mm thick, it is slightly thicker than the other premium foldable yoga mats, but quite light at under 2 pounds. The downsides are that it is not as sticky Manduka and Jade Yoga offerings, as some people will find it slick. This also a complaint for other Gaiam mats. Also, the material is not as durable as the more expensive foldable yoga mats. Still, if you just want something cheap and portable, the Gaiam mat is a good buy. Don’t bother with any of these foldable yoga mats. The Natural Fitness Roam Folding Yoga Mat (Amazon Link) costs about $30 but has the durability of a much cheaper product. Check out the Amazon reviews if you don’t believe us. One customer had the mat start falling apart after a couple uses, and another customer found that her toenails were gouging out pieces of the mat. Don’t bother with this one. The Sisyama Foldable Yoga Mat (Amazon Link) is another questionable product. It is quite cheap but doesn’t tell you what material it is made from. It’s also a bit bulky for a travel mat at 3.5 mm thick. Most large cheap mats are made from low quality materials, and we suggest you stay away from this questionable knock-off brand. We’ve covered the different brands of foldable yoga mat you may want to consider. The Manduka eKO SuperLite is an all-around good choice, while those with special requirements like extra thickness or extra stickiness will prefer other brands. The best part of foldable yoga mats, though, is that you can always take it with you. We hope more companies start putting out similar products in the future.